Sony finally gave up some real details of the PS3, first hyped about in E3 2005 with some additional stretching of truths round about the 360 launch at the end of the year. The specifications and announcements are covered well at Joystick so I’ll jot down my initial thoughts. There will be a central online network which I’m guessing will have all the features of Xbox Live (still not clear whether it’s free for just basic features or the whole thing). While Sony will say more people play online with PS2’s the service is appalling compared to Xbox Live. The controller. Finally that boomerang has gone to be replaced with the old faithful dualshock. However it’s now wireless (Bluetooth) and it no longer rumbles but instead has six degrees of movement. You can pitch and yaw the pad to control a character or vehicle on screen and it also understands acceleration. Think Nintendo Wii but in a clunkier form. 2 sku’s (2 different price points for two different PS3). Not good. Unlike the 360 where you could upgrade the core to the premium pack, there will be no upgrade path for the PS3. 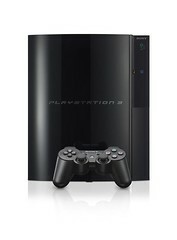 Surprisingly the cheaper PS3 will have no HDMI socket, no wi-fi, no memory stick slots and a reduced hard disk. The lack of HDMI seems surprising as surely it will limit Hi-Def playback from the Blu-Ray player? Sony hype – emotion engine, 2 HDMI ports, 1080p gaming – what do you believe? Where’s the original content? 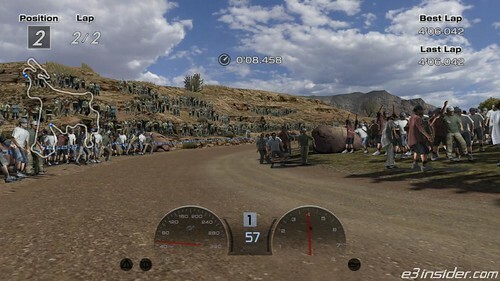 Looking at the list of games at E3 there’s precious little that is unique to the PS3 – Gran Turismo, Metal Gear Solid? Not enough to justify a new console on it’s own. So it’s a mixed bag – the E3 presentation didn’t contain any wow factor and in many ways backed up the ‘hype’ accusation that can be easily thrown Sony’s way. I don’t like the arrogance that the next generation of gaming doesn’t arrive until the PS3 is launched and that they are the only party in town. If it wasn’t for Nintendo and Microsoft I’m sure we wouldn’t see network gaming and motion detecting pads in the PS3. Competition is good and ultimately should deliver a better end product. Saying that I’ll be ordering as soon as I can. If worst comes to worst EBay will deliver a pre christmas profit but I doubt it…unless I order 2.